GV-Edge Recording Manager also supports live view display and video playback of hosts connected to GV-Video Server, GV-VMS and GV-Recording Server. Note: GV-Recording Server is not supported for playback at GV-Edge Recording Manager. 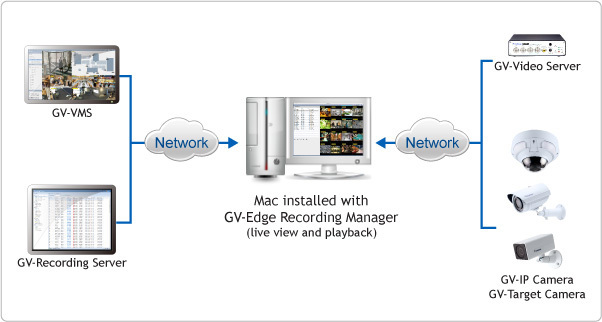 Currently, the Mac version of GV-Edge Recording Manager does not support GV-System (GV-DVR / NVR). It will support GV-System (GV-DVR / NVR) in the near future.